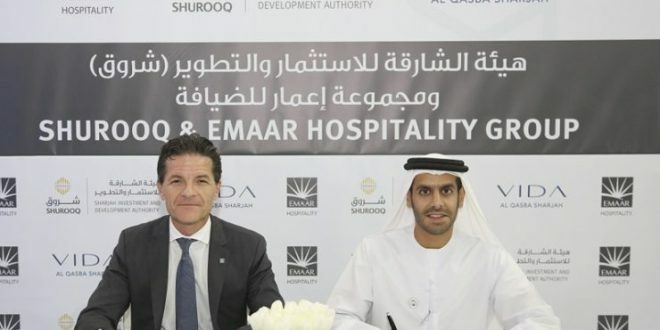 The Sharjah Investment and Development Authority (Shurooq) signed a management agreement with Emaar Hospitality Group to operate a lifestyle boutique hotel in the heart of Al Qasba, one of the most popular lifestyle and leisure destinations in the emirate. Vida Al Qasba Sharjah, to be operated under Emaar Hospitality Group’s Vida Hotels and Resorts, an upscale lifestyle hotel and serviced residences brand, will add yet another dimension to Shurooq’s flourishing tourism portfolio, together with some of the region’s most distinctive and ambitious developments. Featuring 100 rooms and suites, Vida Al Qasba Sharjah is uniquely positioned to meet the increasing demand for spacious and quality hotel rooms in Sharjah, meeting the requirements and expectations of discerning millennial travellers. With a broad collection of properties, projects and developments including cultural and environmental tourism experiences set alongside Al Qasba’s tranquil canal, the new boutique hotel will diversify the emirate’s travel, leisure and hospitality offerings even further. His Excellency Marwan bin Jassim Al Sarkal, Executive Chairman of Shurooq and Olivier Harnisch, CEO of Emaar Hospitality Group, signed the management agreement in the presence of senior officials of both entities. 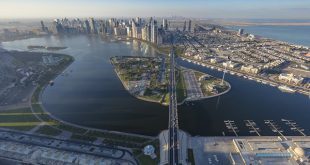 According to estimates, demand for hotel rooms in Sharjah is set has already outpaced supply, and the city will need to add more than 2,850 rooms by 2020 to meet the growth in visitor arrivals. While the number of hotels is projected to increase at a CAGR of 3% from 2010-2020, the number of hotel rooms will increase 5% year-on-year against a growth in hotel guest numbers of an average 15%. 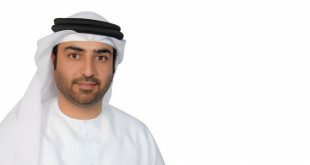 This has accelerated the need for quality and upscale hotels, especially as four and five-star hotels account for over 70% of the total hospitality revenue in the emirate. Vida Al Qasba Sharjah will feature spacious rooms and assure exceptional guest service standards. To serve both leisure and business visitors, the hotel will benefit from its proximity to Al Qasba and ease of access to Dubai and other emirates from Sharjah. Shurooq is one of the main partners in Omran Properties, the driving force behind the transformation of Sharjah into a premier investment, tourism and business destination. The Authority seeks to evaluate and follow-up on tourism, investment, and heritage-related infrastructure projects by participating in comprehensive construction and development projects. 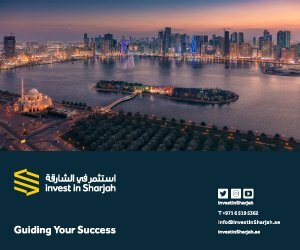 Shurooq also facilitates partnerships and connects investors, corporations, and entrepreneurs with the right opportunities. Among the amenities that await guests include a lobby lounge, an all-day dining restaurant, three meeting rooms and a pre-function space equipped with advanced technologies, a spa and wellness centre, an outdoor swimming pool and deck, children’s splash pad and pool bar. The fitness centre will have a modern gymnasium, studio for yoga and Pilates, and separate shower rooms for men and women. More details on the hotel will be announced due course. 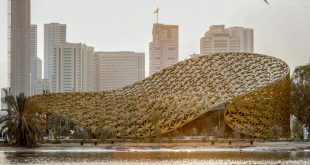 Vida Hotels and Resorts has two operational properties in Dubai – Vida Downtown and Manzil Downtown – apart from several upcoming projects in the UAE including: Vida Harbour Point, Vida Dubai Marina, Vida The Hills, Vida Dubai Mall, Vida Townsquare, Vida Beach Reem Island Abu Dhabi, Vida Residences Downtown, Vida Za’abeel, Vida Aljada Sharjah, all in the UAE. 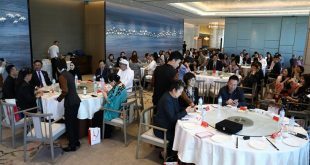 The brand has expanded internationally with management agreements to operate Vida Jeddah Gate in Saudi Arabia, Vida Marassi Marina in Egypt, and Vida Marassi Al Bahrain in Bahrain.